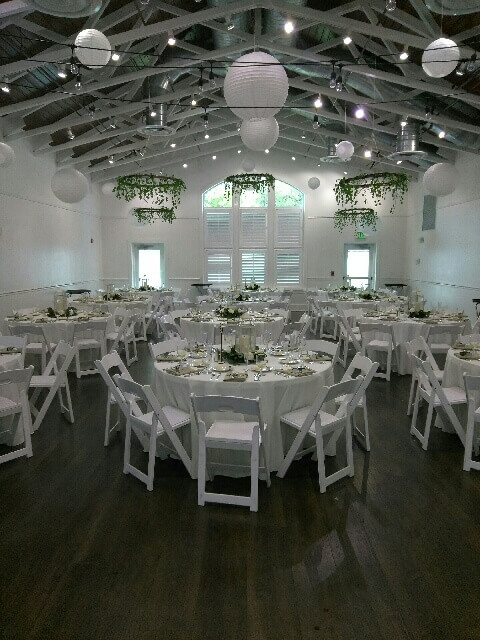 Our Special Moments Event Planning team is crushing, just a little, on this beautiful wedding. 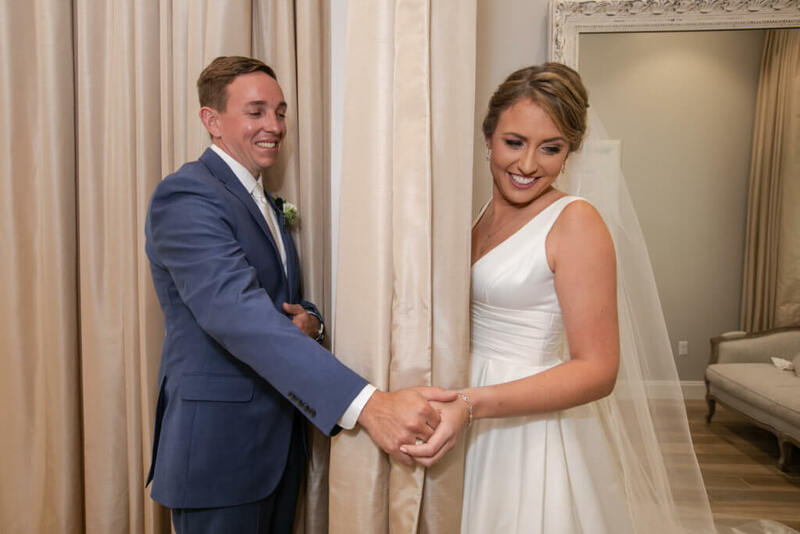 Laura and Brian’s wedding was elegant in its simplicity. 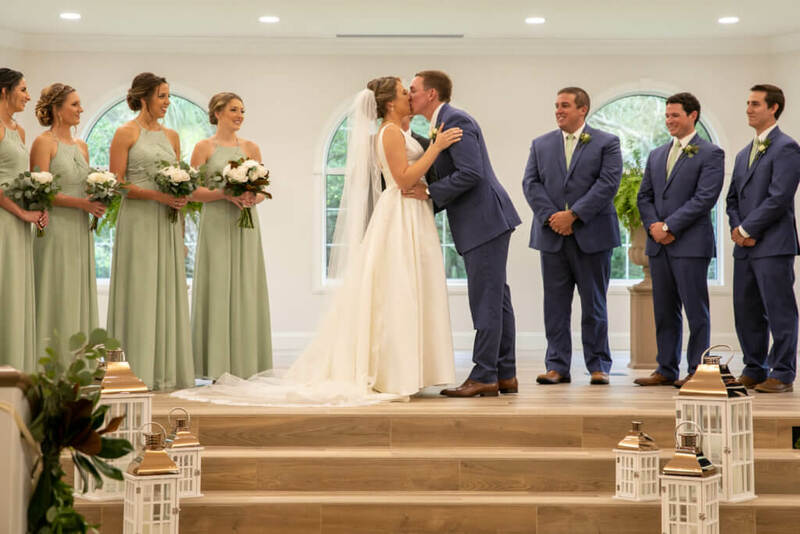 They focused on a few, well-placed details that made their wedding memorable for their family and friends, details they will remember for years to come. 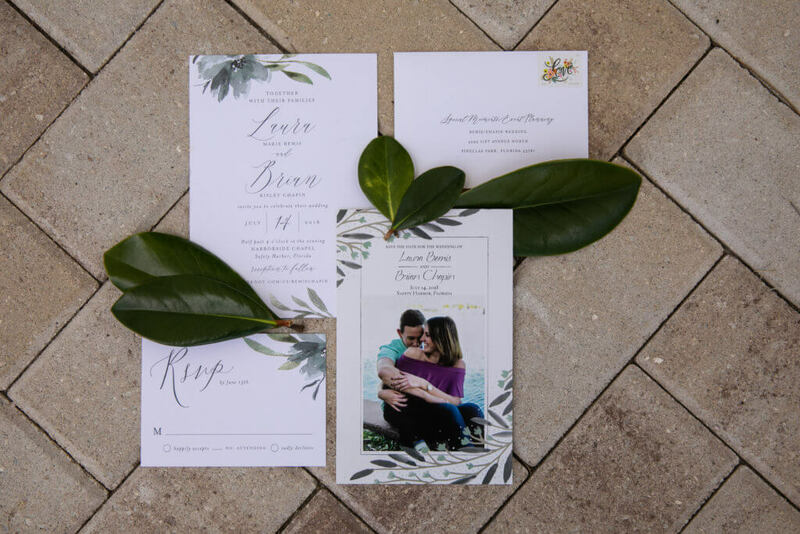 The swoon-worthy details began the moment their wedding invitations arrived. 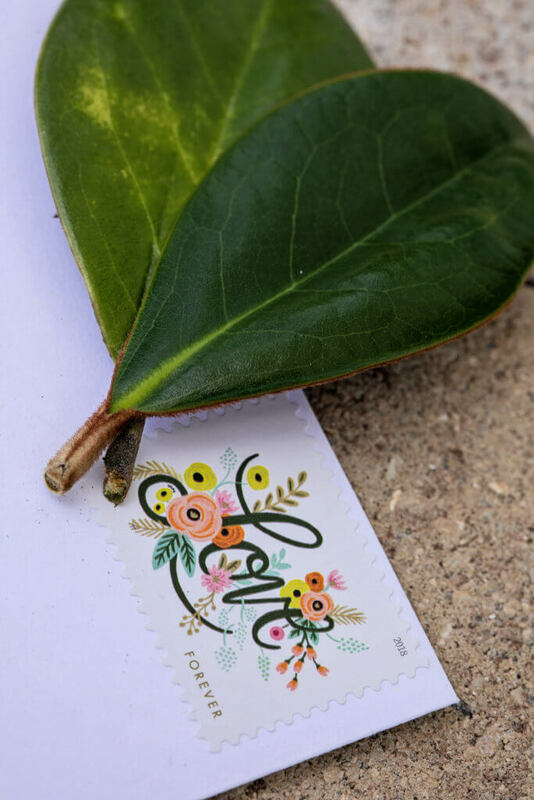 How adorable are these personalized invitations with the colorful addition of the LOVE stamp? 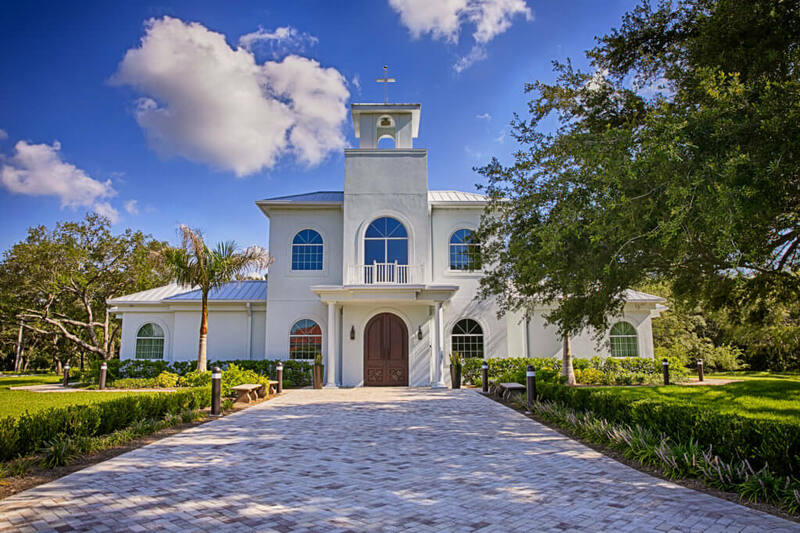 Their wedding day began at the Harborside Chapel in Safety Harbor. 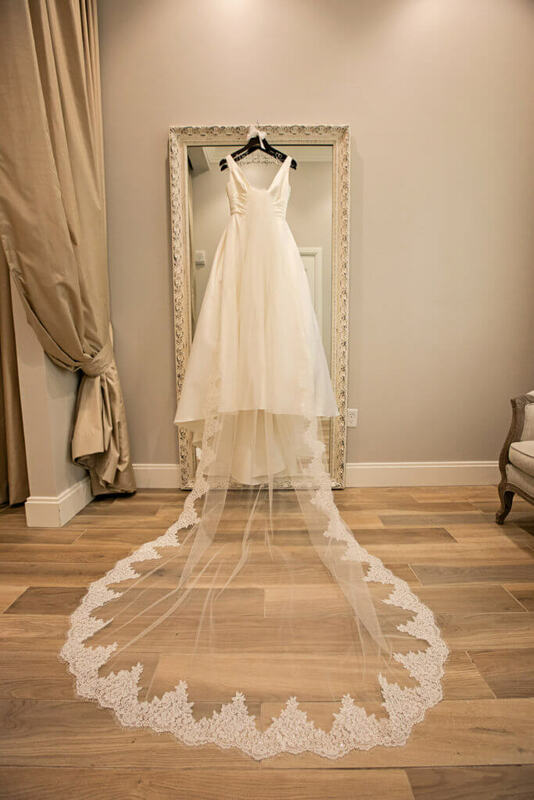 Laura was dressed in a soft white A-Line gown with a sheer cathedral length veil. 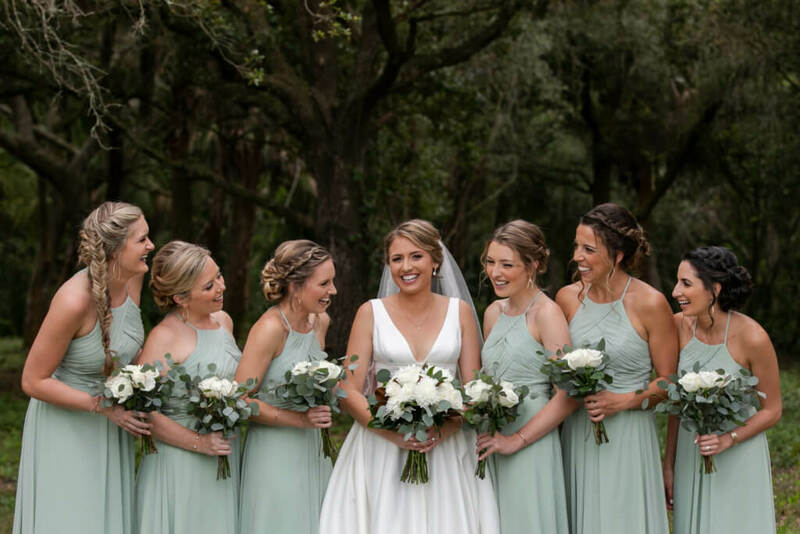 She also had some time to spend with her bridal party prior to the ceremony. Brian looked handsome in his blue suit, complemented with a white boutonniere and white shimmer satin tie. While the two did not see each other, they did spend a few very touching, personal moments together. 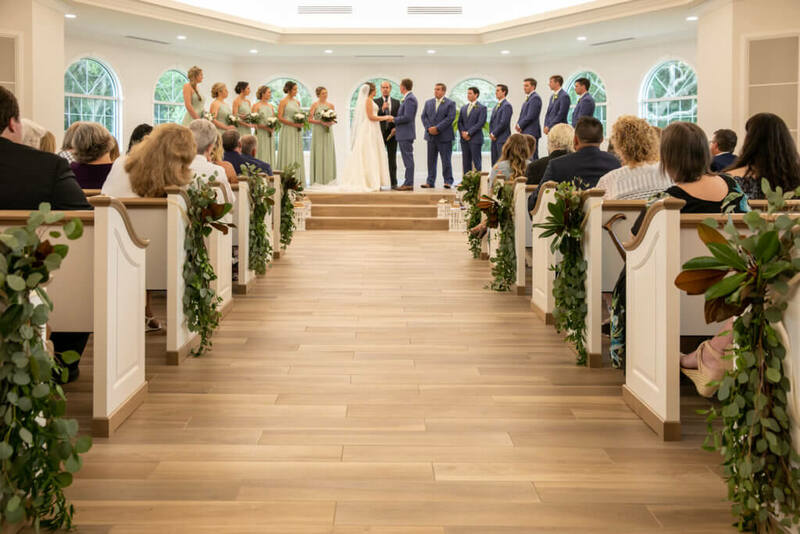 The chapel, with its white pews and neutral palette, was perfectly accented with greenery along the aisle and white lanterns on the steps leading up to the altar. The perfect setting for Laura and Brian to exchange their wedding vows. After a few photos at the chapel, everyone made their way to the White Chapel Harbor Hall for a night of dinner and dancing. 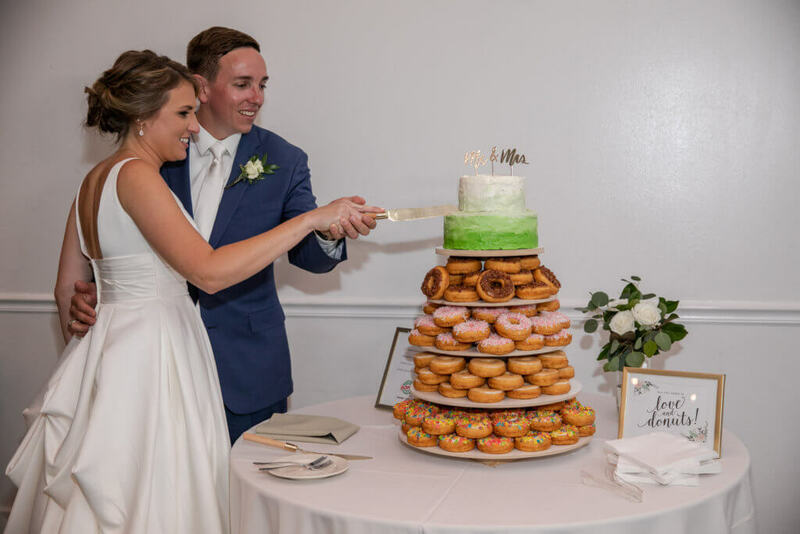 The couple enjoyed this fun wedding cake that rested on a stack of donuts. 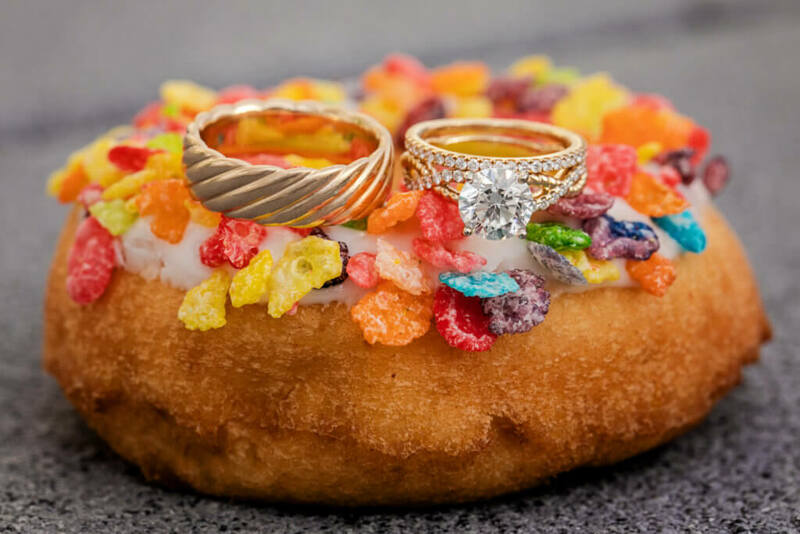 We rarely see wedding ring photos that really make us smile, but this one takes the cake. 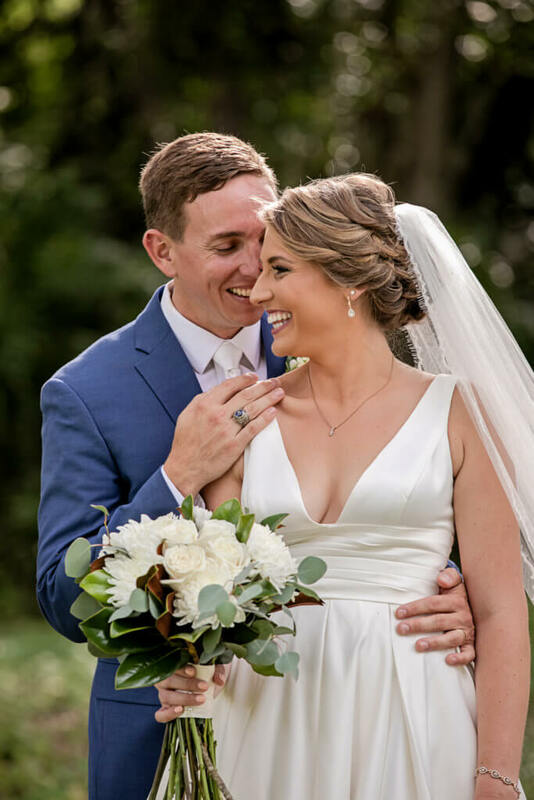 Congratulations Laura and Brian, we truly enjoyed working with you to bring your very personalized, detailed wedding to life. Thank you to these awesome Tampa Bay wedding professionals who made this day such as success. 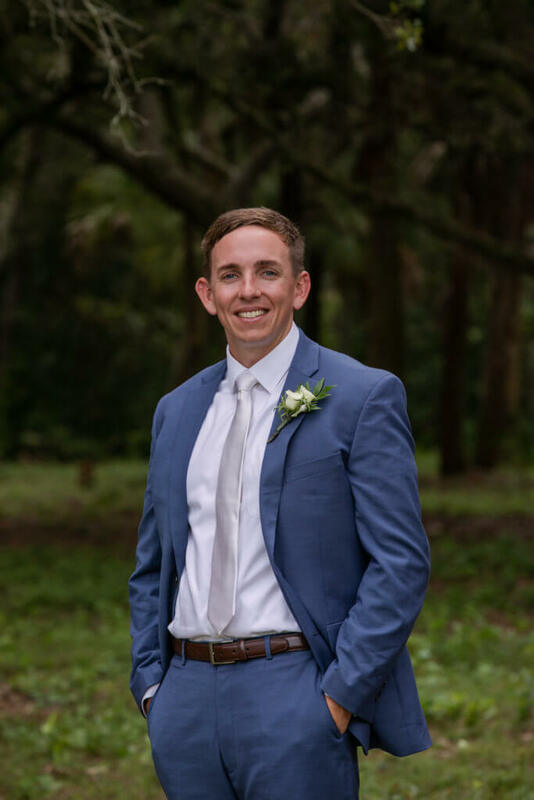 Tampa Bay Wedding Caterer- Delectables Fine Catering, Inc.